Well, now is the time to come clean with you and tell you why we were so discreet, why we couldn’t post any news and why we had some trouble with our team. The situation became harder and harder for us and we were just unhappy about the actual situation, so I decided to tell you about what’s going on, to give this statement. So, what did happen? What compelled us to close the doors in front of you? The easy solution for all those questions is: ‘publisher’. Yes, there really was a publisher who was interested in selling WoP as a low budget game. Many of us saw a real chance in it. The chance to make ourselves a professional name and the chance to have a honourable conclusion for our little game. So we began to work harder and harder, beginning with the new game types and we also embarked on our single player game option. We designed new maps, new models and new power ups. We overhauled all 2500 map textures, all shaders etc. The store version of WoP should notably differ from the free version, there should be a good reason to buy WoP in the stores. Everything worked fine over months, we regular informed our publisher about our ‘small’ alterations and secondary improved our draft agreements. But then shortly before we signed the contract something unexpectedly happened. Our publisher had to close. They tried to accommodate our game somewhere else, but it was over. The deal failed and the whole WoP team was very disappointed. All the hard work seemed to be for nothing. Internally there where more and more arguments because we couldn’t decide how it should go on with WoP. The progress at wop suffered a lot because of that. Then there was another ‘ray of hope’ because a second publisher messaged us and showed interest in WoP. Unfortunately we noticed that this offer wasn’t quite that what we wanted. So the second chance for a store game disappeared. Internally the team suffered because of this and now we are at a point where we have to decide how it shall go on. We don’t want to keep our doors closed any more. You want to know what we are working on and we want to present what we made. We really disliked that we couldn’t tell you more. The reason why we didn’t divulge more was that we didn’t want to make you all excited and then have to tell you that you have to pay for it. We didn’t think that this was fair. We’re not finished with a publisher because were talking with a third. But it’s still not clear in which direction it’s going to develop at this time. We’re going to keep you up to date. Were not going to bother with more publishers if the current publisher doesn’t work, we’ll be done with publishers for a while. We will serve you with continued news starting next week and show you what we’ve done the last few months. Bit by bit of course. 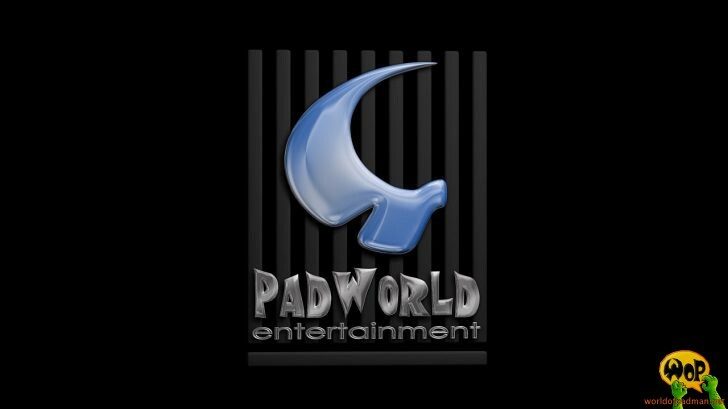 After all this excitement PadWorld Entertainment is concentrating completely at WoP 2.0. Our goal is to release a final WoP version in December, with many new things which hopefully will make sure that you have fun with WoP for a long time.